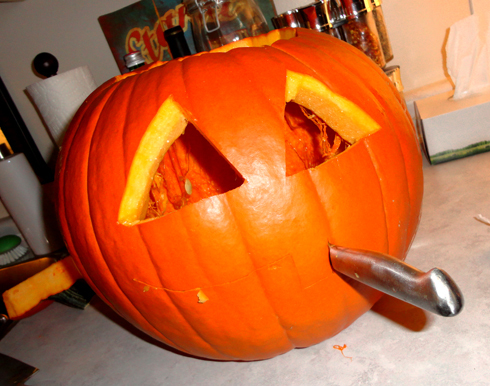 When I was a kid we always used to carve pumpkins together as a family. 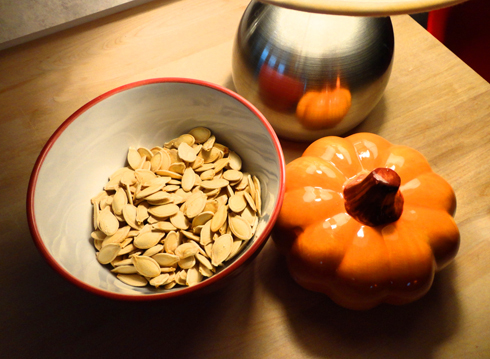 I never carved anything elaborate, but I was always a fan of roasting (or more specifically, eating) the pumpkin seeds. 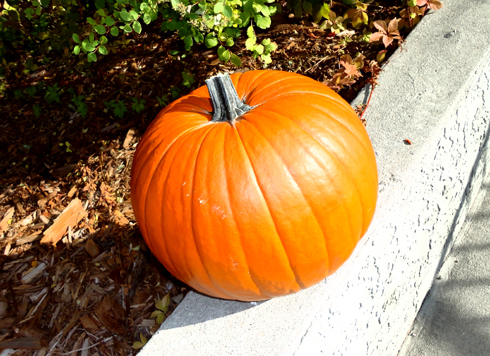 I drive passed a place that has rows and rows of pumpkins displayed outside everyday on my way home from work, so I finally decided to stop and pick one up. 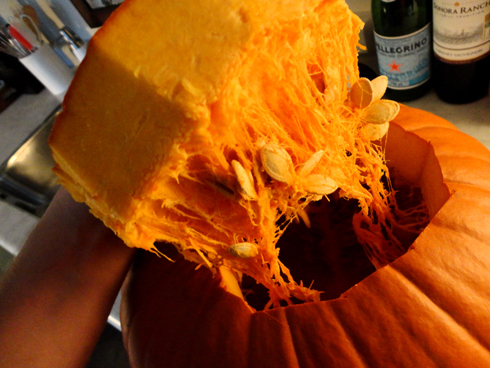 I cut open the top of the pumpkin and then scraped out all of the seeds. 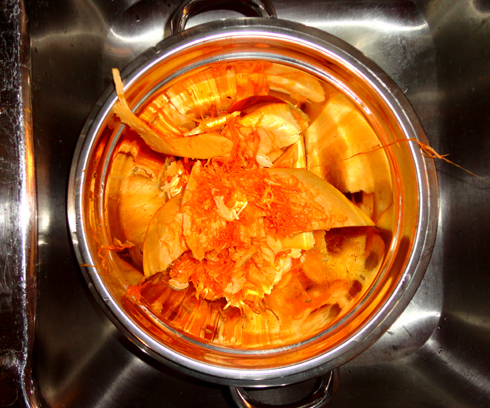 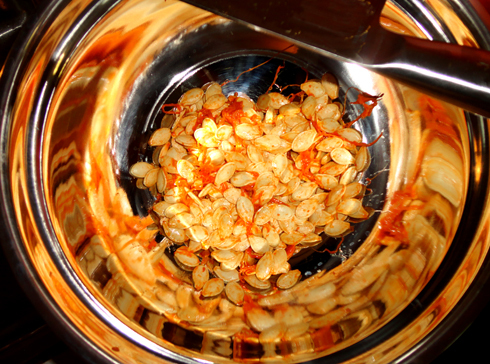 I put all of the pumpkin guts in one bowl, and all of the seeds in a strainer to wash them out. 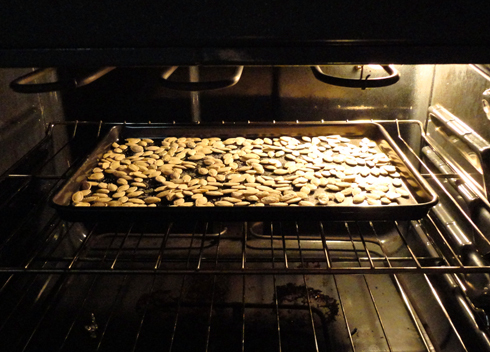 Then I heated the oven to 250 degrees and laid the seeds out on a baking tray, coating them lightly with salt. 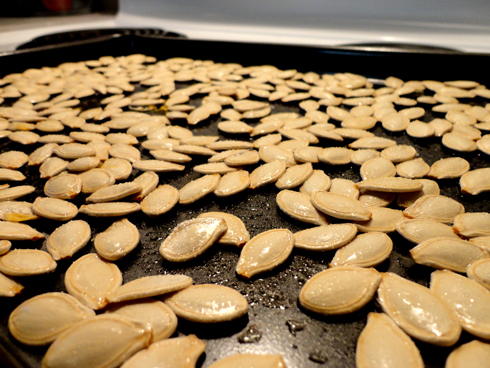 I put the seeds in the oven and set the timer for 40 minutes. 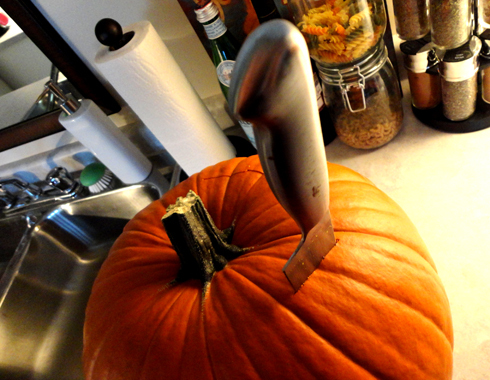 This is when I decided to carve the pumpkin while I waited for the seeds to roast. 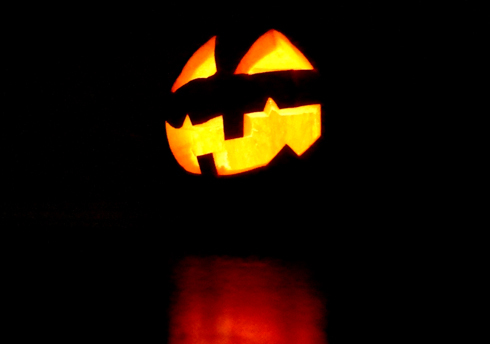 I kept the tradition alive by not carving anything fancy, but I think my jack o'lantern turned out alright. 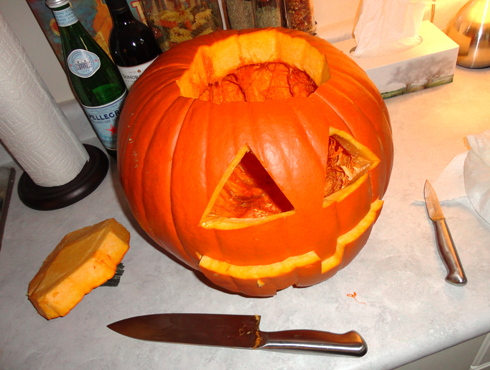 By the time the seeds were done and my pumpkin had been carved my apartment smelt really good - very seasonal. 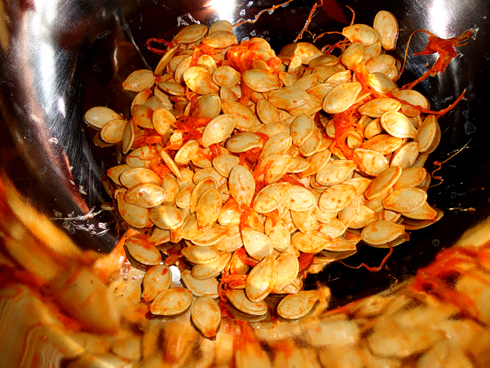 Sadly, the seeds turned out to be so tasty that they were gone that night. 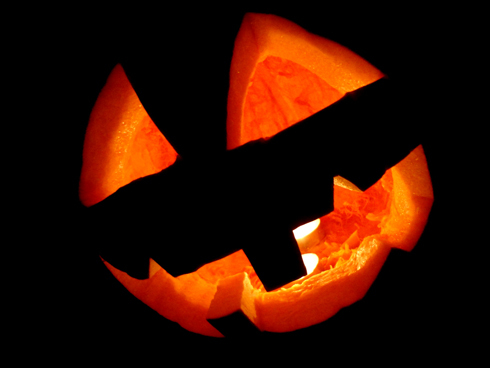 Happy Halloween in any case! Looks like a lot of fun, Luke! 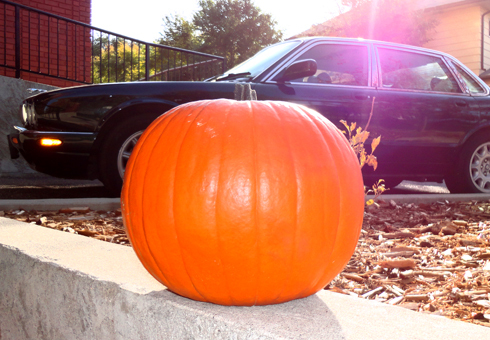 A fine looking pumpkin you have there, good work!